Bunun Fantasy was commissioned by Lisa Perry and premiered December 6, 2016 in Minneapolis, Minnesota. 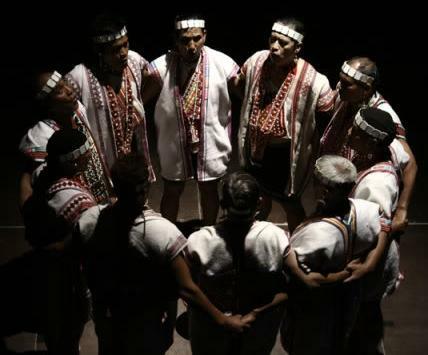 The Bunun people are an aboriginal tribe from Taiwan known for their polyphonic singing. During the Bunun Sowing Festival, men in groups of eight or more will come together to sing the "Pasibutbut," a 4-part harmonic chorale that very gradually rises in pitch smoothly over the course of many minutes - a feat of vocal endurance and a truly beautiful music. When writing "Bunun Fantasy," I greatly slowed and manipulated recordings of the Pasibutbut using spectral analysis for the prerecorded electronic track. I then freely composed the clarinet melody over the lush harmonies of the voices. The stretching of the chorale creates a web of microtonal illusions as the piece moves from one harmony to the next.